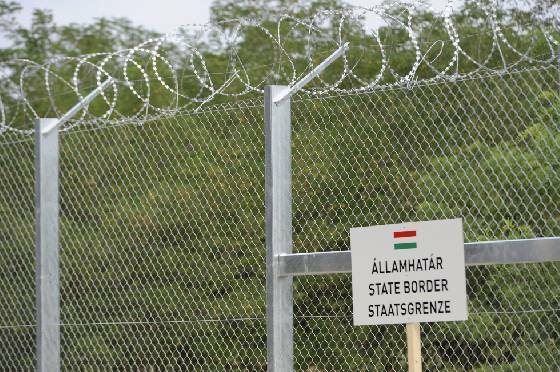 Hungary is spending billions of forints (millions of euros), using prisoners and soldiers, to build a 180 km (110 mile) long, 3-meter (10-foot) high fence along its border to protect the nation from the asylum-seekers that it is currently brutalizing. The fence is being constructed by 350 prisoners, who are being paid $117 per month each for their work. Fence along the border between Hungary and Serbia. Photo: MTI. 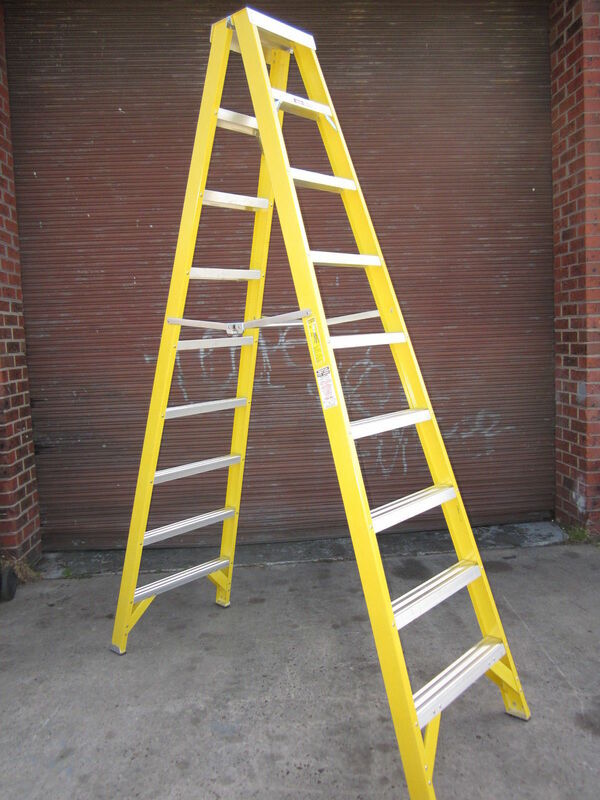 Ebay is selling a double-sided fiberglass 3-meter (10-foot) high stepladder (the same height as the Hungarian border fence) for $270. The 3 meter (10 feet) high stepladder available for purchase on ebay. The European Union provides the funds for Hungary’s shameful, wasteful projects (though most of the EU subsidies go straight into the private offshore holdings of Hungary’s mafia government). The project that preceded the building of the fence months before the refugee crisis was a nation-wide hate campaign in Hungary’s government-controlled media and public billboards, intended to foment racism and fear in the citizenry. This was done in preparation for the callous mistreatment of the refugees in the past few weeks, to be followed on September 15th by new draconian laws, criminalizing the refugees, and mobilizing the military. Hungary, under Prime Minister Viktor Orbán, is heading further along the well-planned (and EU-subsidized) road to the creation of a police-state in the land of the 1956 refugees and freedom-fighters. Stevan Harnad is Canada Research Chair in Cognitive Sciences at Université du Québec à Montréal; Professor of Electronics and Computer Science at University of Southampton, UK; External Member of the Hungarian Academy of Sciences and on the Board of Directors of the Canadian-Hungarian Democratic Charter. 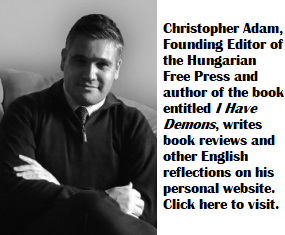 Thanks for your insights into Hungary. The fence, the fear and hate campaign are not the biggest mistakes Orban has made. He was only gambling with his fortune as he is always doing it. One of his more serious mistake was when he seriously thought he can explore the migration crisis for his political survival and totally misused it. He wasn’t even able to express himself in an articulated manner and not only understood nothing of the Exodus Alert but managed to reshape and misinterpret it for his own private use, thus jeopardizing Hungary beyond any acceptable level … and is still running amok desperately without understanding what is going on. And there he came in his infinite wisdom as usual, built a useless fence, allowed the control to slip out of his hand, provoked and trolled the EU and brought Hungary to the point of no return. And all the while atrocities being committed by Hungary against the refugees, the impotent idiots of Brussels are pouring millions of Euros DAILY into the coffers of Orban’s mafia government. Does the Orban mafia take or just handle the money? I admire the stance of the Hungarian Government. I hope it stops these illegal migrants . If only the UK had the same balls! It doesn’t take balls at all to do what Orban is doing, all it takes is selfishness. What really takes balls is to prepare and hard work to get through the migration of refugees in an organized and orderly fashion, as much as possible anyways. They can be screened better and are more likely to register if they are cared for and kept track of. You are getting caught up in the populism, which is exactly what this government wants. It takes a special kind of coward to build up the racial hatred of the citizens, build a useless fence, using free labor I might add and to deliberately funnel these people through Budapest to create chaos and leave the rest up to the citizens to handle. All this very admirable you say?